In today’s competitive world where small mistakes are enough to prepare the ground for the shutdown of your business, data analysis is the only thing that can ultimately lead to accurate business decisions. We live in a world where information is all around us. This is the reason the management of information banks and databases are critical to the health of every organization that does not intend to face information overload. At the end of the day, something as important as data should never become a hurdle in the achievement of strategic growth. While data analysis facilitates the extraction and dissemination of information in an effective manner from a variety of sources, it also helps in delivering business insights based on actual facts and figures. No doubt, future forecast and business predictions really go a long way for businesses. No matter what, business owners intend to expand their businesses in the best possible manner. You cannot deny that every aspect of your business gets influenced by foresight. Consequently, the enterprises that leverage analytics to build a competitive edge would be able to distinguish themselves from their counterparts without much difficulty. With quality at the apex of such organizations, sustainable development is likely to follow them. Not only do data analytics services help in predicting customer behavior, but also permit service providers to understand the mindset of customers and thus establish long-term relationships with them. At present, every customer touch point is inundated with an ample amount of data. In addition, social media and the Web facilitate the creation of useful insights in the appropriate manner. Without a doubt, an enterprise that embraces analytics wholeheartedly is likely to outperform its competitors. In addition, big data has the power to make interesting discoveries that enable an improvement in the decision-making abilities of a company. This drives the growth of your business and also allows you to realize your dreams of business expansion. Vcall Global completely understands that the quality of data does not improve in a day. 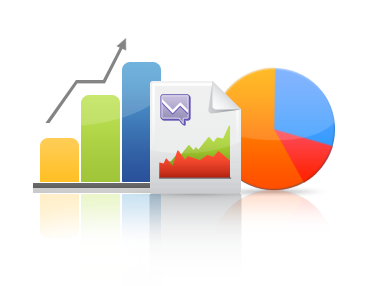 Moreover, analyzing data is not just restricted to sorting it according to the usage. It is rather a comprehensive and on-going procedure that eventually helps a business realize its ultimate motives through data, an improvement in overall efficiency and quality monitoring. Undoubtedly, many of our counterparts are aware of the strategic importance that information holds in today’s world, but Vcall Global is the one that has the ability to make an assessment and bring about a sustainable improvement in the standard of service solutions. In today’s times, every enterprise maintains a data pool that finds a place in its information silos and data warehouses. We bring together a range of innovative solutions that enable the analysis of data at every step starting with its basic management to the use of sophisticated tools for its analysis. • Enable risk management in a proactive manner. • Enhance the efficiency of operations. • Manage and streamline information. • Leverage on business intelligence. Feel the power of data with us!